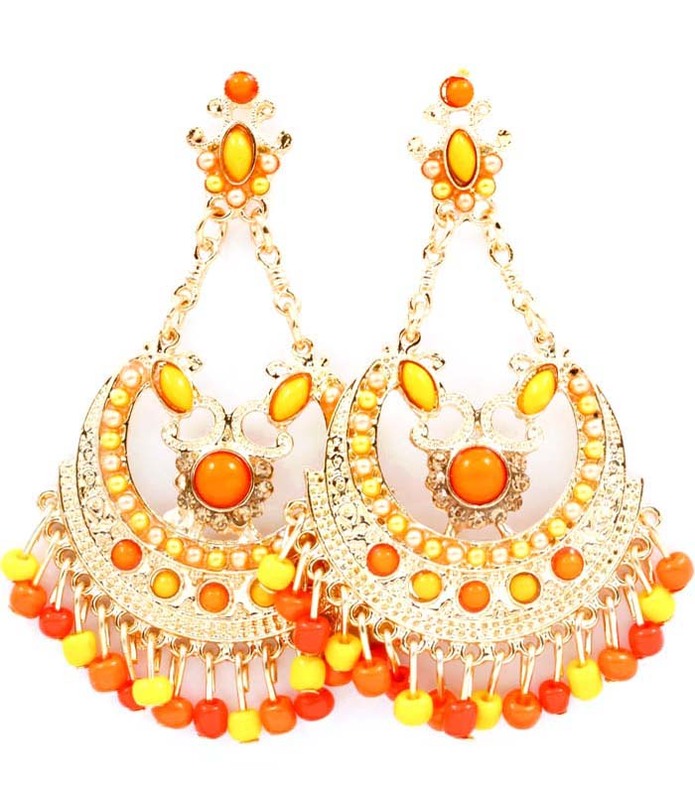 Like an Indian sunset, the Tapaswini drop earrings radiate in gold and citrus hues. A half-crescent metal design embellished with hanging beads and embedded cabochons is suspended by chain from the florid stud. Wear with an all-white look for a total pop of colour. Are you looking for quality and affordable cheap jewellery? Check out our Clearance Shop today.